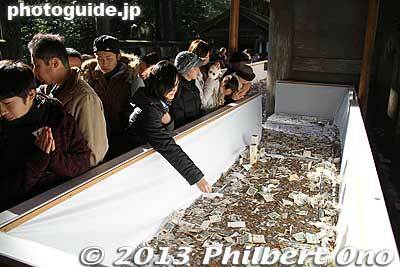 Look how small the offertory box is at Ise Jingu's Naiku. The one at Meiji Shrine in Tokyo is like half the size of a football field. Of course, Ise Jingu just doesn't have the space for it.